Another exciting new thing I’ve been working on for A&L: #FroFriday features! We have a #MommyMonday feature, so of course I’ll have one for #FroFriday. I asked Amanda to be my first fro guest. 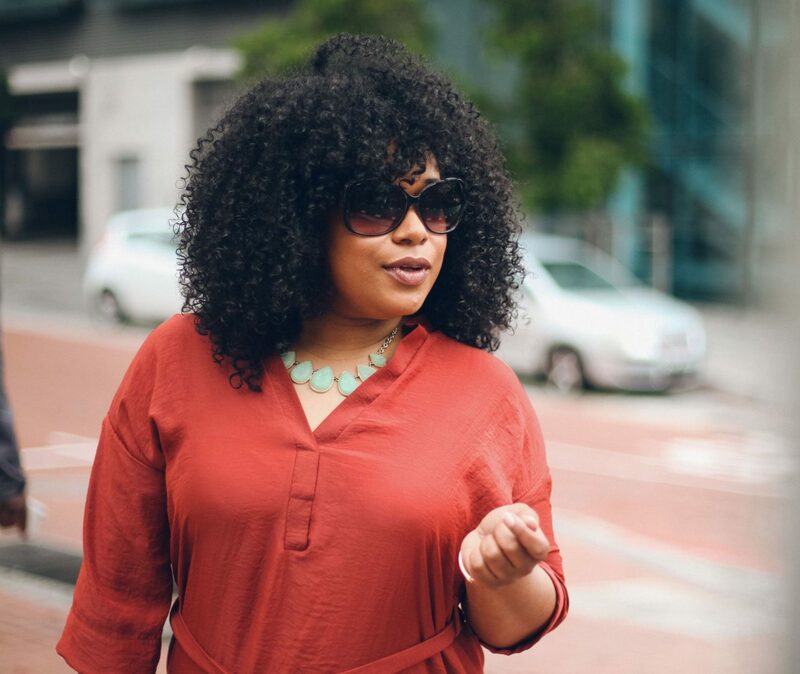 Known for being one of the ladies who brings Cape Town their Natural Hair Fest, Amanda is also behind the blog Cape Town Curly. Here’s what she had to say about what inspired her to go natural, her hair routine, the natural hair movement and representation. Hey Amanda! Please introduce yourself to my readers. Hello beautiful! My name is Amanda Cooke. I am mom to a teenage girl, a blogger, content creator, information enthusiast, and entrepreneur. 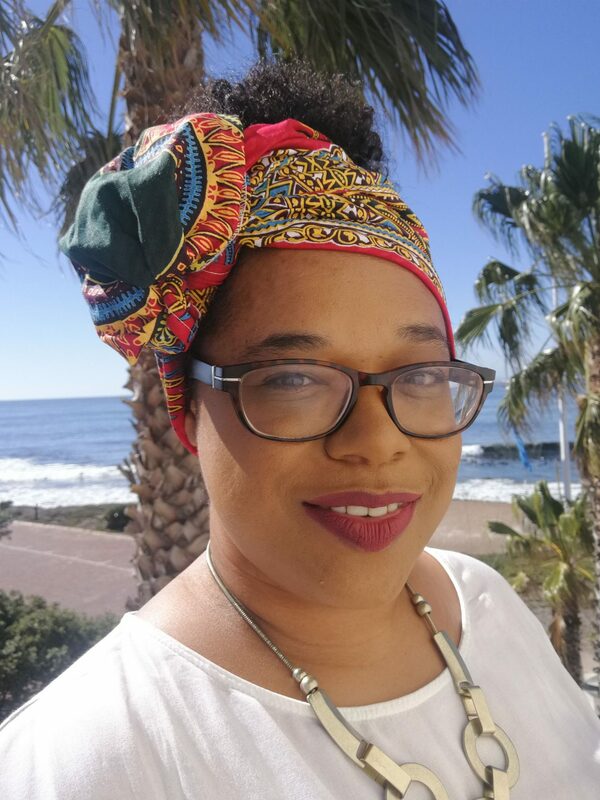 I’m co-creator of Cape Town Naturally and the Cape Town Natural Hair Fest. My guilty pleasures are wine, whisky, chocolate, books, hair products #proudproductjunkie and I am developing a crazy love for make-up and shoes! My fave movies are Something New, Notting Hill (self-confessed romance addict) and how amazing was Black Panther! About 6 years ago I watched my daughter, Caitlin, play with her cousin’s hair. Cait has 4b/c hair and her cousin has 2a hair. Cait brushed little Mia’s hair and said longingly “I wish my hair could be like yours. You have such beautiful hair”. I dropped everything and had a serious heart to heart with myself and then with my daughter. I needed her to know that everything about her was beautiful. Together we made the decision to stop using chemicals and to embrace our natural hair. What would you tell your younger self about your hair? Back in the day we were taught to “suffer for beauty”. Mom used to sit with a tub of creamy crack and a fine tooth comb and painstakingly combed all our kinks and curls away. I’d probably tell younger Mandy that you should NEVER “suffer for beauty”, because true beauty comes from within. A few years ago I did some research on a South African hair growth recipe. I did a blog post about it and then added my own ingredients to suit my hair type. It was dubbed the “Mandy Mix” and I still swear by it today. I am a wash n’ go kinda girl. I drench my hair in water and then immediately add product to seal in all that moisture. Whether I air dry or diffuse afterwards, my results are always popping, juicy curls. My favourite products vary with the season. I love Shea Moisture, Cantu, Design Essentials, Aunt Jackie’s, Camille Rose, Afrobotanics…aaargh, I’m just the biggest product junkie you can think of. Do you believe naturals are represented enough? Absolutely not! Especially not in Cape Town. However, I must admit that there has been a massive increase of interest in returning to natural though. I long for the day when people feel comfortable with walking in their own skin. How do you wear your hair to work? I usually wear a styled wash n’ go to work, ie: I’ll twist or pin up bits of my hair to keep it out of my way. 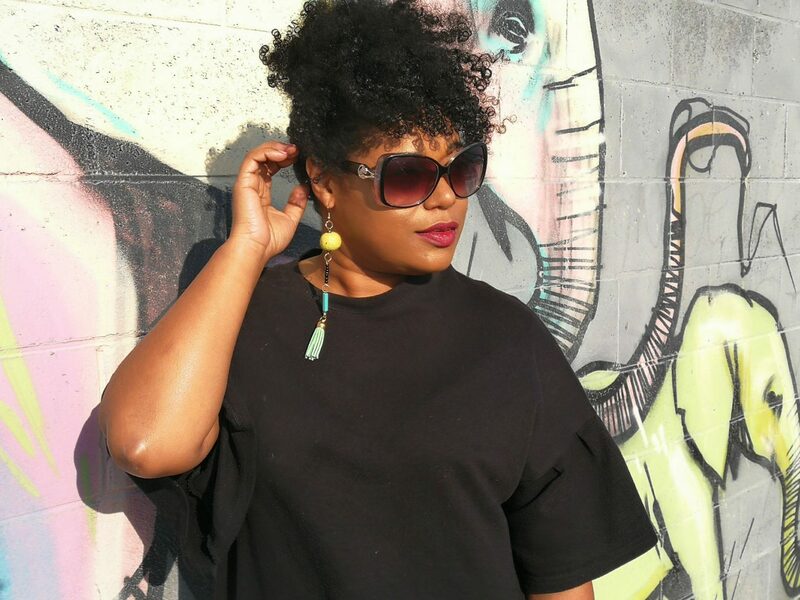 Yes, natural hair IS professional! However, winter is coming, and I’m thinking of doing box braids for the first time ever! I must admit that every 2 years I do feel like a change. When I can’t control the urge, I will head to the salon for a blow out and flat iron. I usually regret it an hour later though. You’re also a mom, how important is it to you to share your stance on natural hair with your child/children? I believe that my daughter is more confident and assertive since we’ve embarked on this journey together. She is more aware of herself and life in general. In fact I swear she will end up being a human rights activist one of these days. I’m winning at parenting! Do you believe that the surge in wearing natural hair is a movement or a trend? Never forsake the power of the DOEK! I have about 3 ready and waiting at my front door. They’re excellent for disguising a deep conditioning situation when you need to head out to the shops in a hurry! How awesome is Amanda and her fro? 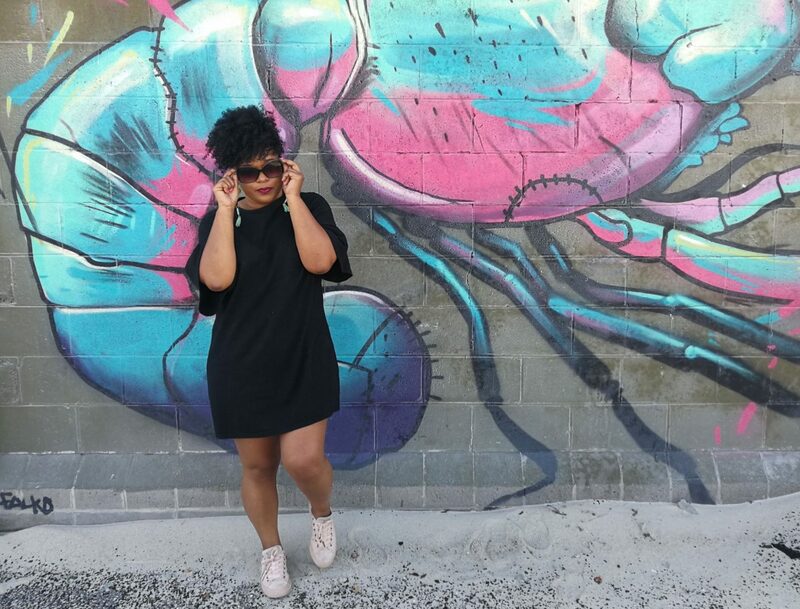 Please show her some love on her spaces on the interwebs: Cape Town Curly Blog, Instagram, Twitter, Facebook. What did you think of Amanda’s feature? Let me know below in the comments below and look out for the next #FroFriday feature! MY namesake! beautiful Hair, beautiful Lady, rock on SISTA! !